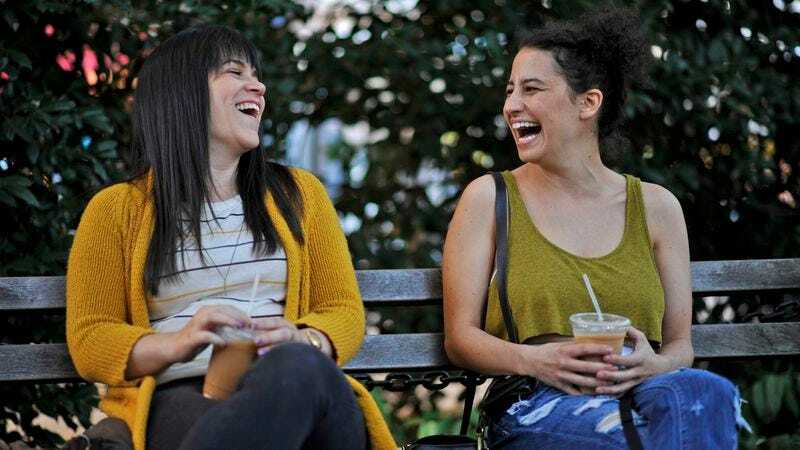 Listen, you just can’t contain Abbi Jacobson and Ilana Glazer. First they outgrew their web series, and turned it into a TV show on Comedy Central. Then they turned that TV show into a live tour, and some more web content, and a second season of Broad City. Now that show is a hit, with plans for a third season already in place. But that’s not enough for Jacobson and Glazer, who are currently plotting the next phase of their plan to conquer not only Broad City, but the whole broad world. The logical next step step would be a feature film, and according to The Hollywood Reporter Jacobson and Glazer have sold an untitled comedy pitch to Twentieth Century Fox, presumably at a meeting in a very fancy office where Glazer came dressed in a crop top and black lipstick and stole all the office supplies afterwards. Details about the project are being kept ”under lock and key,” but Paul Feig, Hollywood’s anointed Sherpa for female comedians trying to scale the Everest of box-office success, is reportedly attached.